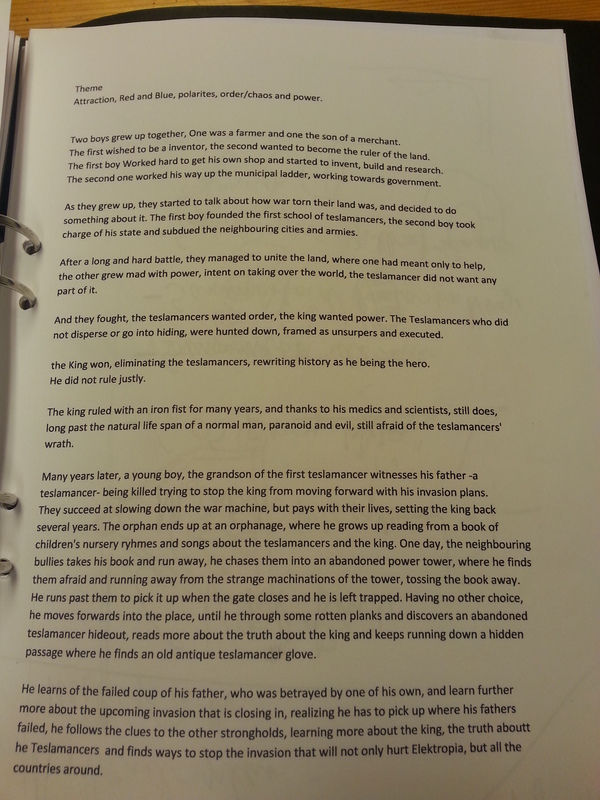 an excerpt from the initial script outline for Teslagrad’s story! This changed a lot as we decided to do completely nonverbal storytelling, so in the end a lot of nuance was cut in favour of more instinctively understandable/ archetype based story beats. A lot of the story work in teslagrad was “how much can we cut/streamline this to make it more understandable without losing the flavour” rather than “how much of the story can we cram in before people get impatient”. In the end, the amount of behind the scenes, not explicitly stated stuff probably made the ingame world feel richer and more expansive than it would have otherwise! 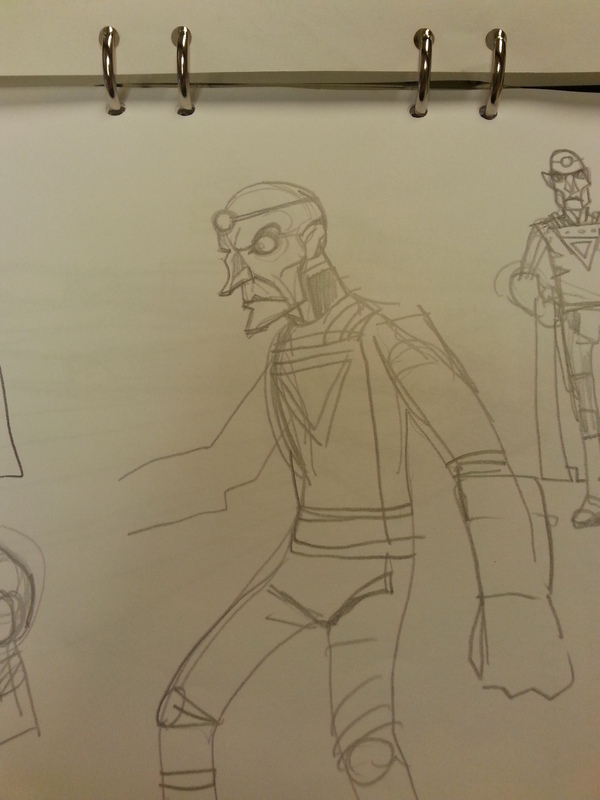 Early sketches of the king, complete with a list of design inspirations. his outfit was a lot more flash gordon-esque here! 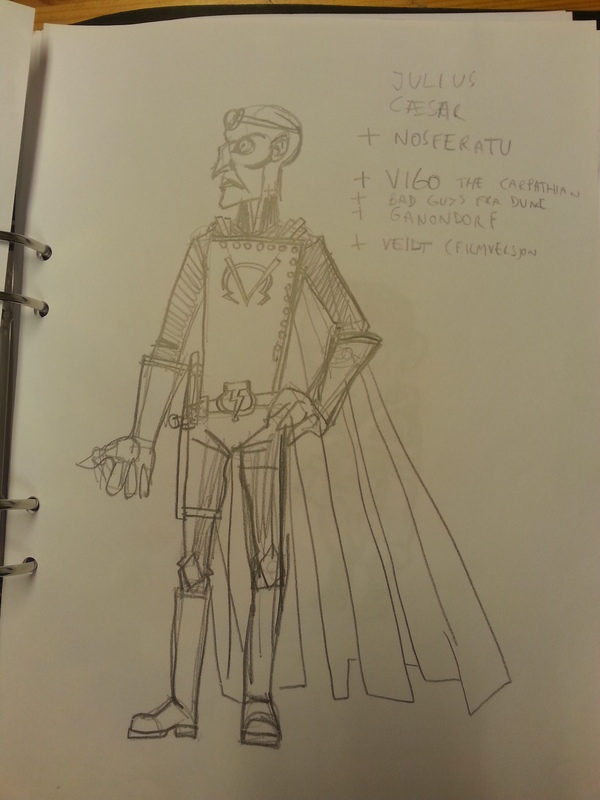 This entry was posted in Game development, teslagrad, The Blog, Uncategorized by Ole Ivar Rudi. Bookmark the permalink. I loved this! Thank you so much for sharing!